Enfeedia is a powerful form-driven cloud-based mobile-friendly web app for RSS feed publishers. Select "Explore" below to gather all information about RSS feeds and Enfeedia that are NOT specific to your account. You are not required to log in or even have an account to explore Enfeedia. Select "Publish" below to access any information specific to your account and to publish news feeds and post/edit items on feeds. This is your private section of the website. You will have to log in when you enter this section. (You may have delegated posting authority to others -- Editors, Reporters, Freelancers -- and if you have they will also login in the next screen specific to their aurhorization level.) If you do not yet have an Enfeedia account, you will be offered the opportunity to sign up for a free account in the next screen. And you will have the opportunity to view your account settings, make changes to your account, and upgrade your account if you should desire to do so. As you proceed, look for additional icons that provide context-sensitive help about what is expected or useful tips. Select "Promote" below to promote any Enfeedia-hosted feed in many ways, ranging from simply using a link to the feed's NewsPage in an email signature or elsewhere, to adding links and icons to webpages to open the feed's NewsPage, to embedding (syndicating) a feed directly on a NewsPage. You can also get the industry standard (XML) file URL that you can use with any feed reader or aggregator of your choosing. Finally, you can get the code snippet for installing a widget for subscribing to your feed(s). You do not need to log in, or even have an account, to use this section. Click the 's for context-sensitive help. The 's have it! NOTICE: Enfeedia is no longer offering free accounts. Check back for news about Enfeedia 2.0. (1) Open an account by snapping Publish [Login] above, then snap Get An Account . (2) Create a feed by snapping Publish [Login] and logging in if necessary, then snap Set Up Feeds . (3) Post an item on the feed by snapping Publish [Login] and logging in if necessary, then snap Publish Items . After you post an item, your feed goes live. Until then, you won't see your feed, like it doesn't even exist. Check out this 5 Minute Intro. If you have or want a following for your business, organization, or simply your personal endeavors, creating an RSS news feed is just the ticket. If SEO for your website is important to you, an Enfeedia-hosted RSS feed is a powerful tool. What's an RSS news feed? It's a powerful yet simple way to put your stream of messages "out there" without you sending email. And that makes it easy for one to learn what's new without meandering all through your website. Post your messages whenever you want, as often as you want, and your audience reads them on your feed at their convenience. They can even choose to register for automatically delivered email alerts when items are posted on the feed. By publishing messages on a continuing basis, you establish yourself as an authority on your topic. RSS news feeds are excellent for maintaining customer loyalty. Keep them informed on a regular basis. Don't let them forget about you! Fresh content posted on your feed that's syndicated on your website improves the search engine results placement of your site. An RSS news feed is simpler than email and more valued by your email-bombarded audience! What is "news"? It's any message or article you want. You can even embed a photo or video into your news item, and add text links, a Google search tool, and a PayPal buy-now button. If you've ever had to maintain an email list, and if you've ever had to suffer receiving all those "undeliverable mail" messsages, then you will appreciate this: By creating and publishing an RSS news feed, you no longer need to send your audience email and therefore don't need to maintain an email list. Those who wish to easily stay up-to-date about your news without having to peruse your site can register for automatic mail alerts. Did you know that many email service providers impose limits on sending email, for example, the number of recipients for a single email, the number of email recipients per hour or day or month ... with the risk of having your email account temporarily shut down if a limit is exceeded? Not a problem with Enfeedia's feed-driven email. When you publish your RSS news feed with Enfeedia, we create a NewsPage -- a standalone website hosted at Enfeedia -- for you so your audience doesn't even have to know anything about news feeds — and some of you might not even need a website. Because, with a premium membership, you can customize your NewsPage with information about your endeavor, including pictures and videos. Combined with regular postings on your feed, you will find your NewsPage showing up in search results giving your endeavor more exposure -- with no additional work on your part. By the way, consider the benefits of having links you create from your Enfeedia-hosted NewsPage to your website regaring SEO. 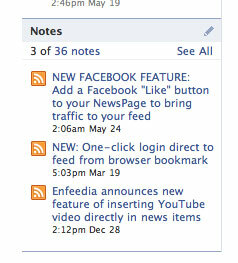 If you know how to write and send email, you can easily publish your own RSS news feed using Enfeedia. What could be easier: Sign in and enter your news item title and article into an online form and submit it; within seconds, it's published online and subscribers (optionally) get an alert. By adding an Enfeedia-supplied code snippet and using an Enfeedia-supplied script, you can syndicate your RSS news feed items — one or many — on your website. And now you can syndicate your feed on your website without using that script, what we call Super Simple Syndication. Syndication just means embedding an RSS feed directly on one's site. Yes, you can syndicate your own feed on your own site. We call this syndication feature NewsOnSite, and the process of posting items onto your site ShootOnSite. With self-syndication, when you publish items on your feed, you are automatically publishing those items on your website at the same time without lifting a finger. And that means search engines index your news feed content with the rest of your webpage! Super Simple Syndication improves on Original Syndication (what we've offered from the beginning) by eliminating the need to upload the shootOnSite script to your website. Because that script is a sizeable amount of PHP code, some of you or your webmasters may have been reluctant to upload that code to your website, concerned about side effects or unexpected consequences to your site operation. Now, you can forget all about that script, and just have Enfeedia do the syndication for you. Here's how: The snippet sends a few paramaters, like your Enfeedia account name and feed name, over to Enfeedia. 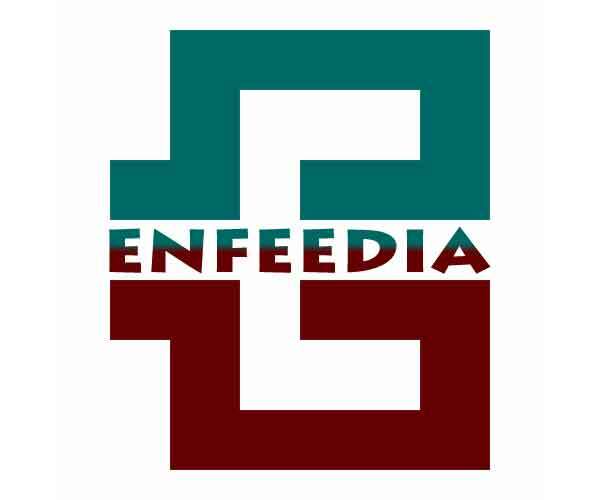 Enfeedia receives those paramaters and then uses its internal shootOnSite script to transform the cryptic feed file into HTML code to provide the feed in human-readable form. That HTML code is returned to your website where it replaces the code snippet, causing the feed to appear on your webpage just as if were hard coded on your site. And seen by search engine spiders. Every time your page is loaded, that process occurs, so the feed that is presented is assured to be current. With Super Simple Syndication, it's never been simpler to strut your stuff. To get your Super Simple Syndication code snippet, go to the Promote section of Enfeedia and follow the on-screen instructions. Super Simple Syndication is available to premium membership levels (Publisher, Pubisher-PRO and Enterprise). With Blogtrottr FeedMail, you will receive an alerting email, we refer to as FeedMail, when new items are posted on this feed. We recommmend you do not select the default "real time" setting. If you create a Blogtrottr account, you will be able to manage "digests" wherein email will be issued every 2 hours or 4 hours or 6 hours, etc., if items are posted. Although you don't need to open a Blogtrottr account, we recommend you do open an account to manage various aspects of the mail delivery service. This service is free, but you are offered an upgrade to eliminate the ad placed in FeedMail for the free plan. News from the Enfeedia.com News Feed Publishing Service What's this? Are you encountering problems with Enfeedia? I really need your feedback. FeedBack ( 0) We now support the popular PNG and GIF image formats in addition to JPG for images you can include with your item posting. This is the image that is displayed next to your item. PREMIUM MEMBERSHIP RATES DRASTICALLY REDUCED! FeedBack ( 0) A mouthful, yes! But there's two very important topics in that one title. So first, the big announcement: Super Simple Syndication -- simple because it's scriptless. ...of Enfeedia Feed Syndication. Do You Syndicate a Great Feed? Send us your request to appear here ASAP. Go to our contact page and contact us now, with a link to your website showing the feed syndication. We're anxious to start filling the space below with world-clase examples! Petwise is all about owning pets, and is targeted for the SaddleBrooke Ranch community in Arizona. See this demonstration of many feeds producing a single "Headline Feed". Try it! Click a headline, see the item open on the website as it appears on its feed. Then click that "Start Over" link and enjoy the dynamics -- and the pets too! This site is almost completely feed driven, and a small staff of reporters posts articles and references to outside articles for the editor. Notice that this design returns you to their website to read all artices on the Headline Feed in lieu of taking you to the Enfeedia-generated NewsPage. Ask how you can do that too. Adopt Now: Lenny needs a forever home! RSS Feed aka RSS News Feed aka Feed -- An online communication vehicle for distributing messages from time to time by way of news readers, news aggregators, and FeedMail. A feed comprises a channel section and one or more item sections. Feed file aka XML file -- The industry-standard file format for an RSS feed. To be human readable, translation to HTML code is required. News Reader -- An application that translates the feed XML file into HTML code for human consumption. News Aggregator -- An application that translates many the feed XML files into HTML code for human consumption, offering features for presenting and organizing the feeds. NewsPage -- Enfeedia's built-in feed reader that also includes options to add content of various kinds to sections of the NewsPage. NewsPages are webpages on their own right and are crawled by search engines. 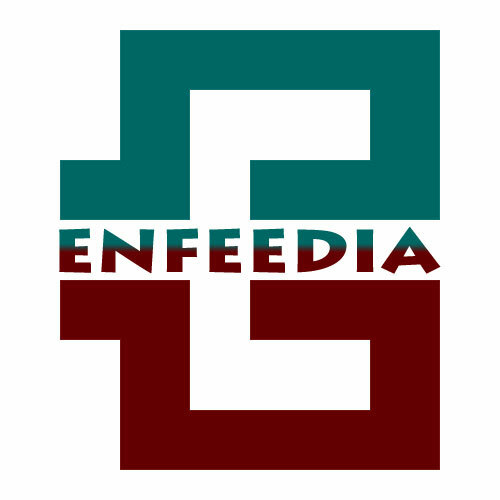 Enfeedia automatically generates a NewsPage for every published feed. Syndication -- Embedding a feed or portion thereof onto a webpage in human-readable HTML form to present the feed to site visitors without having to leave the page. Enfeedia's syndication methods embed the feeds in a way that provides for search engines crawling feed contents. Feed Channel -- That portion of a feed that defines the feed, including feed title, feed description, feed link, and more. Think of a feed channel as encompassing all items in a feed. The feed channel typically provides a title and description that is appropriate for all items to be posted on the feed. Feed Item aka Item -- A unit of communication on a feed comprising, in the minimal form, a title, description (aka article) and a title link. A feed comprises one or more items. Email Alert -- An email sent to subscribers that inform them an item has been posted on a feed. FeedMail -- Enfeedia's term for an email alert, but more accurately reflects that the feed item is included in the mail. Create a Feed aka Set Up a Feed -- The process of specifying a feed header, necessary before items can be posted on the feed. Publish an Item -- The process of specifying the various elements of a feed item and including it in a feed. Publish -- In the absence of any qualifying adjectives, is the overall process of creating a feed and publishing items on the feed. Responsive Web Design -- A website design methodology such that the website can be presented on devices/computers of various screen sizes without the architecture and navigation being affected, with text size and image sizes all automatically adjusted. Often referred to as 'mobile friendly'. Enfeedia is a responsive website. HTML -- HTML ("Hyper Text Markup Language") is the standard markup language used to create webpages. PHP -- A popular software programming language ("PHP Hypertext Preprocessor") for websites. Web servers process PHP code that results in generation of HTML code before the page is delivered to the client. Thus, search engines can crawl content produced by PHP code execution. Script -- A term often used to mean a software module, commonly used with PHP. Enfeedia's shootOnSite software is a script that performs the news reader function. Code Snippet -- A short line of software code. Enfeedia provides code snippets for website designers to implement various feed-related widgets. Search Engine Optimization aka SEO -- Broadly speaking, implementing a website design in such a way as that the pages of a website will appear high in search engine results pages when people search the internet. Search engines such as Google "crawl" the pages of websites all over the internet to assess their value vis-a-vis search terms to determine where to place webpages in search engine results pages (SERP). With Blogtrottr FeedMail, you will receive an alerting email, we refer to as FeedMail, when new items are posted on this feed. We recommmend you do not select the default "real time" setting. Only one item is delivered per email. If you create a Blogtrottr account, you will be able to manage "digests" wherein email will be issued every 2 hours or 4 hours or 6 hours, etc., if items are posted. Although you don't need to open a Blogtrottr account, we recommend you do open an account to manage various aspects of the mail delivery service. This servie is free, but you are offered an upgrade to eliminate the ad placed in FeedMail for the free plan. Tips about Enfeedia What's this? Still looking for an alternative to the long-ago-discontinued Google Reader? FeedBack ( 0) Try "AlternativeTo" for a list of choices. Click the title of this item to go there. FeedBack ( 0) Some of you create an account, then do nothing with it. Some others create a feed but never publish anything on it so it never sees the light of day. Yet others publish just one item. None of these behaviors bring you the value of Enfeedia and leave me puzzled. FeedBack ( 0) Consider syndicating your feed in a side panel of your home page. It remains "off stage" until you get tempted to slide it put by clicking a button. It's hard to resist, knowing some news tidbits are awaiting your call to be revealed. You've probably seen this by now on Enfeedia NewsPages. Now the idea is being employed elsewhere like at LLGorman Pet Art. Articles about RSS News Feeds and SEO What's this? Google Launches Mobile-Friendly Search - What Does It Mean for Enfeedia RSS Feeds? FeedBack ( 0) Today, Google announced mobile friendly search. Essentially this means that when searches are conducted from smartphones, search results will favor those websites that are mobile friendly. So if the success of your website depends to a large degree on people discovering you doing smartphone searches, you have no time to waste in getting your site converted. FeedBack ( 0) Keep your eye on Youtube's plans for facilitating creation of video content on your smartphone. And also provide a possible source of revenue through its to-be-announced crowdfunding feature. Given the simplicity of posting YouTube videos on your RSS feed with Enfeedia, and thereby, through syndication, posting videos on your website without the assistance of a webmaster, we could see a breakthrough opportunity to monetize your creative videos. FeedBack ( 0) If you promote your business or endeavor of any kind by posting to your facebook account, here's a better way to do that: "Share and share a Like" from your Enfeedia-hosted RSS feed. FeedBack ( 0) This article is "must reading" for anyone concerned about where their website falls within search engines results pages. Below are excerpts from that article; the full article is available by clicking here. I added emphasis in blue in the excerpts. As you read this, think about how publishing a news feed and presenting that feedon your website, preferable home page. In about five minutes a week, you can gain the benefits described in the article. Also, consider opening a facebook account and including your feed in the "Notes" section. Your feed will appear on your profile page. Here's how it looks on my profile page. By Bob Huntington, Weasel Productions: Most people when asked "What's the second largest search engine" will respond Yahoo or Bing. It's not. It's YouTube. YouTube is owned and operated by Google making them number one and two in search. If you want to succeed on the web you must embrace video at some point to become more visible in search than ever before. The knee-jerk reaction is "I don't have a video. Doesn't that cost a lot of money?" Of course it can, but it doesn't have to. The advent of low cost, HD capable camcorders like the Flip series puts video easily into the mix for the masses. FeedBack ( 0) It's noteworthy that YouTube sees the benefit of news feeds to draw people into their vast (and very rapidly growing) library of videos. Being the second largest search engine, it's reasonable to expect YouTube will exploit news feeds to further advance their position. Enfeedia will keep an eye on YouTube developments to determine possible connections to Enfeedia including podcasting YouTube videos. Set Up Pings today to be notified of new postings on this feed.